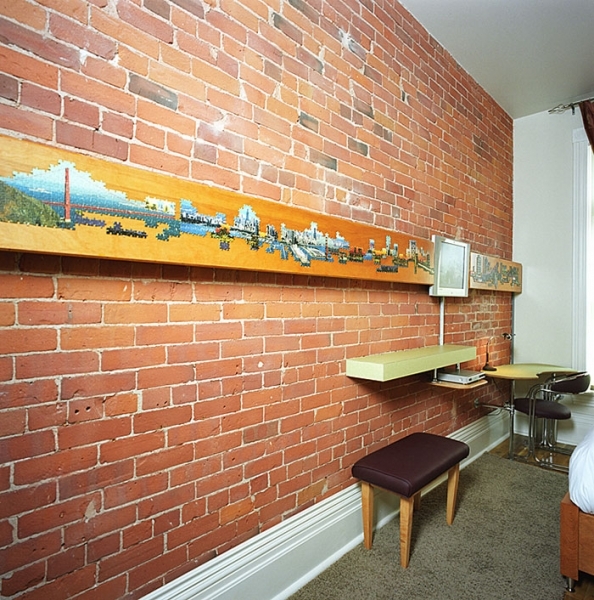 The Gladstone Hotel is a special place. 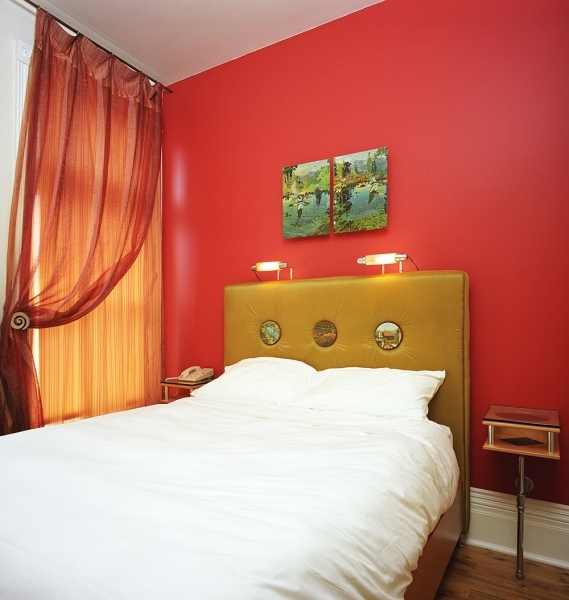 Each room has been designed by a different artist.We were all given a blank room. 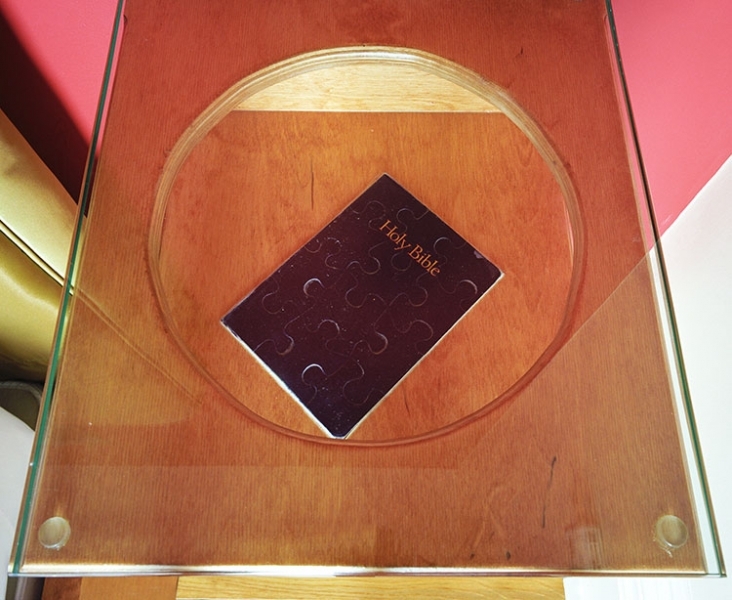 I created The Puzzle Room (309) which exploits the ubiquitous imagery of tourist landscapes. 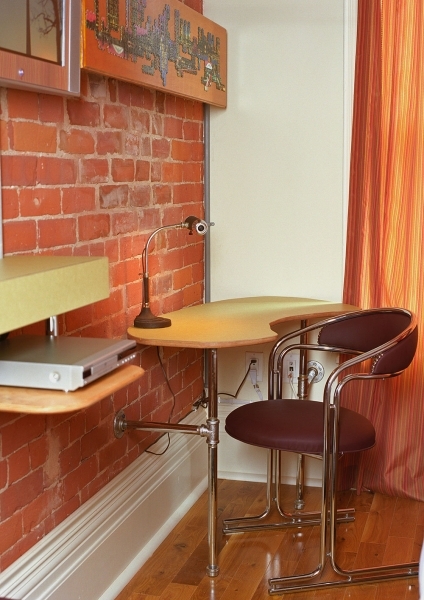 Most importantly I wanted the room to be a respite from a long day spent touring the city a place that had a fun vintage sensibility. 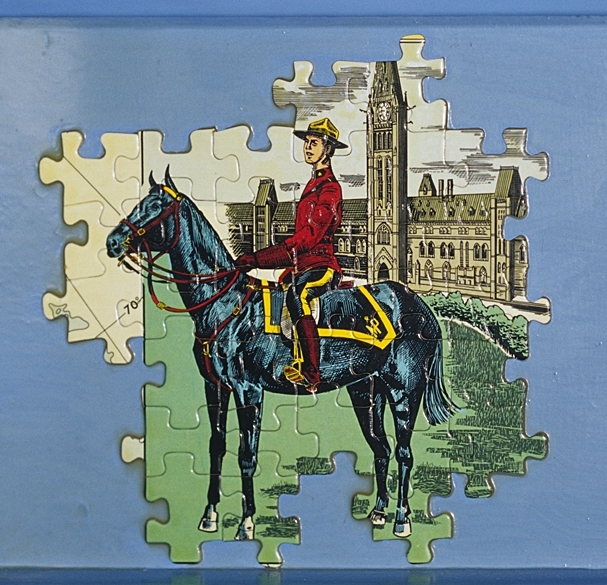 The Puzzle Room room is filled with warm colours and interesting puzzle details that extend into the bathroom cabinets. 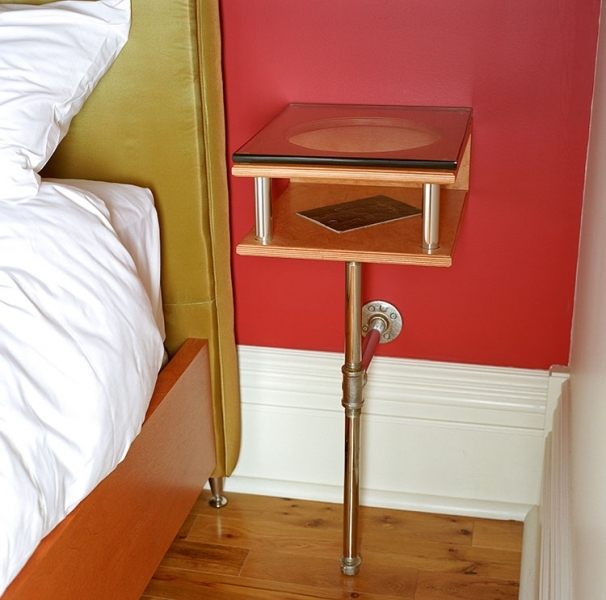 These details are meant for the visitor to discover as they stay in the room. 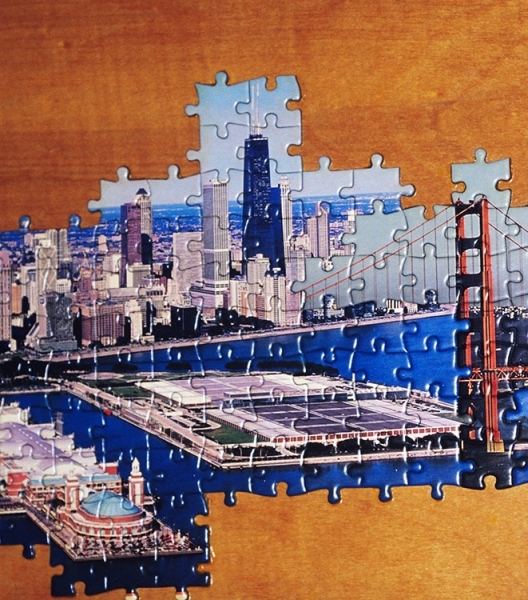 Knowing that we all use architectural landmarks as a way to locate ourselves, I created an impossible skyline using sections of panoramic puzzles from six port cities. Much like our selective memories of places, architectural snippets get mixed up with each other so SanFrancisco’s golden gate bridge becomes Chicago’s Warf, which is infiltrated by a bridge in Philadelphia. 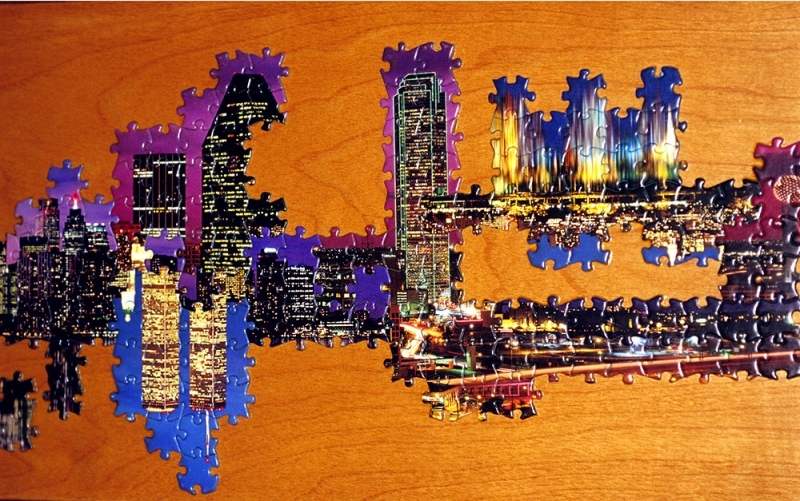 Then Toronto, NY and Dallas are collaged into one skyline on the other side. 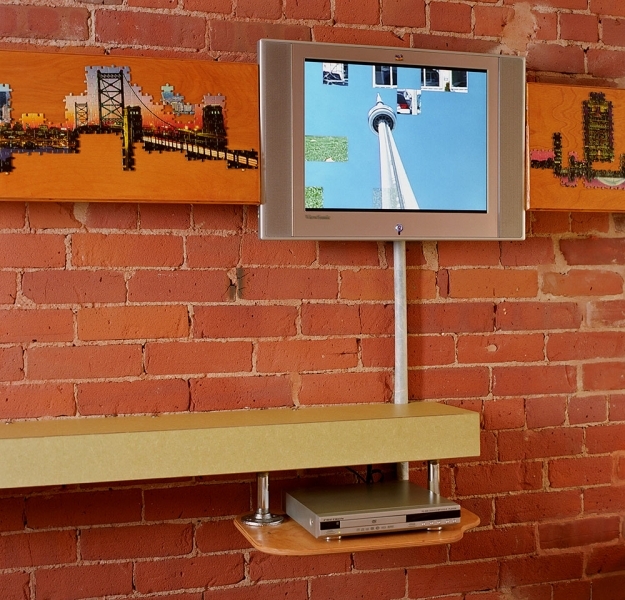 In Toronto the most obvious landmark is The CN Tower so I shot a video that focuses on it with a video shot from places in the city a visitor most likely would not get to. 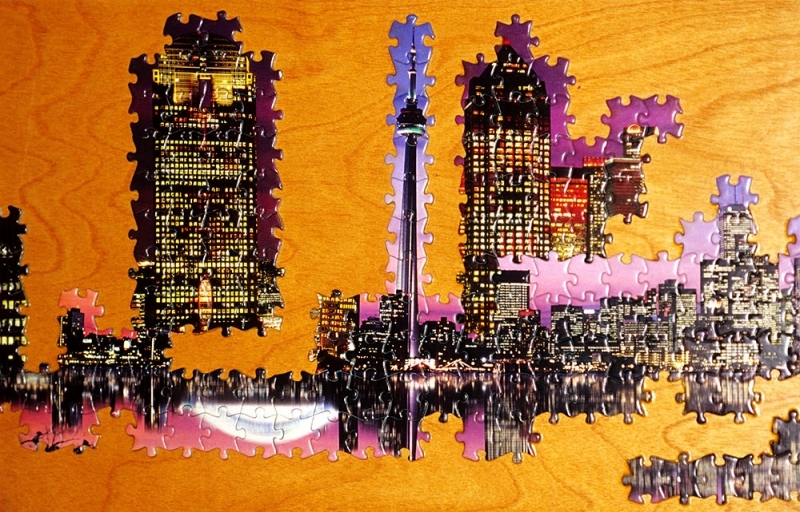 Thus the video connects the collaged puzzle city skyline, with CN Tower images that dissolve in puzzle like transitions. Mill work made in collaboration with Lisa Dooher.